On your arrival, our company representative together with the driver / guide will welcome you and transfer to the Hotel in Entebbe for dinner and overnight stay at Best Western Premier Garden Hotel. 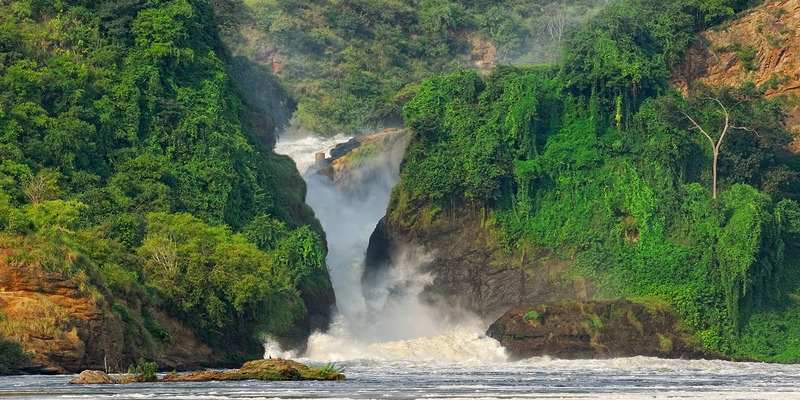 Enjoy breakfast and transfer to Murchison Falls National Park which is Uganda’s largest park. The park is a habitat for animals like elephants, buffaloes, giraffe sand a variety of antelopes. En route, you will visit Ziwa Rhino Sanctuary for rhino tracking which lasts 2 to 3 hours and proceed for lunch in Masindi town. After an early breakfast, you will go for a game drive on the Northern Bank of River Nile. 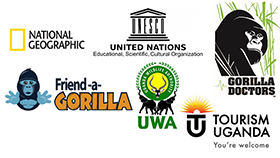 The activity takes about 3 to 5 hours and Wildlife in the Park includes elephants, Rothschild giraffes, buffaloes, lions, Hartebeest, Uganda kobs, Oribis and waterbucks. After the drive you will return to the lodge for lunch and in the afternoon; go for a launch cruise on the Albert Nile which will give you an exciting panoramic view at the bottom of the mighty Murchison falls. Along the cruise, you will encounter crocodiles, hippos, and birds on the river banks like kingfisher, cormorants, bee-eater and the rare shoebill stork. Dinner and overnight at PakubaLodge as above. Early in the morning after breakfast and a briefing from the UWA officials, set off for the gorilla tracking. This is a once life time experience and unforgettable adventure. The ranger guides will lead you into the thick forest and start your search for the endangered Mountain Gorillas. You will move up and down the rugged terrain until you finally meet these harmonious creatures that will entertain you with performances for about1 hour. The activity can take 2 to 8 hours depending on the movement of the Gorillas. This is an awesome and exciting moment. En-route, there are other types of the primates such as the monkeys, birds and more. After the trek, you will receive your Gorilla trekking certificate and meet up with your driver / guide and return to the lodge where you will spend the evening at leisure. Dinner and overnight stay at Ichumbi Gorilla Lodge as above. Breakfast will be served early and embark on your journey back to Kampala with lunch en-route in Mbarara town or Masaka. You will also make a stopover at Equator at Kayabwe for water experiments and photographs, Royal drum Village at Mpambire for souvenirs. Proceed to Kampala and drop-off at your hotel for dinner and overnight stay at Sheraton Hotel Kampala. Enjoy breakfast and go for a brief tour of Kampala city and later transfer to the airport for your onward flight.